Today, Carlos and his entire family are deeply involved at Don Eli Coffee farm and micro mill. But in the harvest year of 2014 to 2015, Carlos and his family took their biggest risk yet. It was their first year as specialty coffee producers. But Carlos explains that this way they can regulate their coffee business, focus on innovative processing methods and ensure the quality. They were leaving the mass production concept behind to uphold the “quality over quantity” mindset. Carlos is aware and is working to get certifications for his farms like NAMA Café, he knows how important it is to have a great soil without chemicals, so he is working on sustainable practices in he’s farms, and as an example he has a nano lot where he hasn’t used any chemicals for many years and want to keep this nano-lot named “Chamaco” as an experiment for the future. 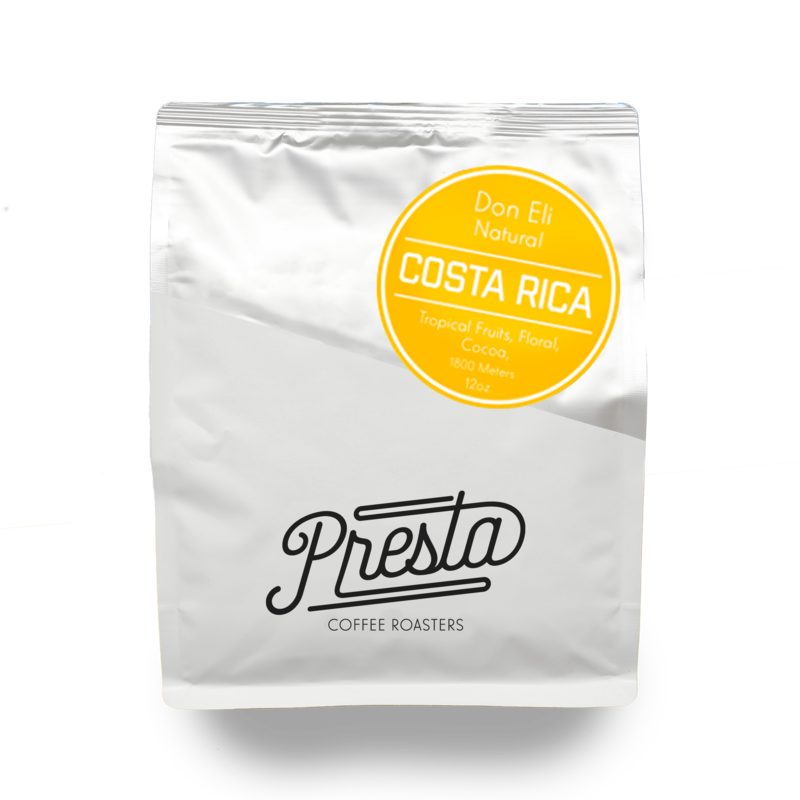 Don Eli Coffee is aiming on delivering the best of what Costa Rican soils have to offer. "The NAMA-Café is an initiative aimed at mitigation and adaptation to climate change in the coffee sector, promotes low emissions of greenhouse gases, aims to reduce environmental damage caused in coffee production by encouraging the adoption of new technologies, and improved production practices, aims to increase the efficiency of small farmers in Costa Rica. It contributes to improving the quality of life of producers and their families across the competitiveness of the coffee sector. " According to this in 2020 all the countries willing to sell coffee to Europe will need this certification. Jacob is 21 years old. Slap on some rain boots when you are visiting Jacob at work. He oversees the wet-mill processing. From counting the “cajuelas” or crates of coffee cherries, to manning the machinery and the depulping process, Jacob is key to coffee preparation. He is also currently studying economics at school, which comes useful in helping the family business with the accounts. Carlos is aware and has been paying more attention to his picker’s and the cherry sorting. He makes sure the pickers have sorted and separated the unripe cherries they picked and put them in a different bag before he measures the coffee by cajuelas,. Carlos and his son Jacob are a team when they process the coffee. After Carlos measures the coffee for he’s pickers, usually in the afternoon, he takes the cherries to his mill, where Jacob is waiting for him to start to process the coffee. They move the coffee cherries from the truck to a big pile and throw some clean water on the pile to wash the cherries and to help move the cherries to continue their way to the the depulping machine that separates the pulp and skin from the beans. After this the beans are moved to the machines that washes the coffee. At the end of this step the coffee is moved through a tube by the water pressure to a big tank. By the time the coffee gets to the big tank the mucilage has been almost completely removed, however the beans still keep a little amount of mucilage, and that’s why Carlos called the process white honey. After the coffee is moved to the big tank, they move the coffee in buckets to the African beds inside an open greenhouse. Mariajose, Carlos daughter, and another worker are in charge of the drying phase. They move the coffee every hour evenly and keep a track of every coffee that comes inside the greenhouse to dry. The coffee takes around 10-12 days to get to the right moisture content 10%-10,5%. This year Carlos implement different levels so he could dry the coffee slower and it also helps him to have more space to dry coffee. Natural: this farm is located in Copey de Dota at 1800 masl, where they grow Catuai, this is the first time Carlos has prepared the coffee from this farm as a micro-lot. He hasn’t done too many Natural process. But this year they did a little bit more. After selecting and sorting only the ripe cherries Carlos takes his cherries to the wet mill, here the cherries go through a floating system that separates the vane and bad cherries from the good and ripe cherries. After that they take only the ripe cherries to dry in raised beds inside an open greenhouse, where Carlos takes care that the coffee dries slowly. The drying takes around 22 days until one month. After this Carlos storages the coffee in his warehouse where the coffee will rest until is shipped.